This hotel is a home away from home for tourists and business people alike. Just a stone throw away from Dam Square, next to the Royal Palace and “New Church” and situated in the former liqueur factory “De Drie Fleschjes”. You will find yourself right in the midst of the city’s sights and scenes and everything that could possibly be of interest. Concerts, museums, theatres and great shops are all nearby. BEST WESTERN Dam Square Inn is a 100% smoke free hotel. The rooms are modernly furnished and air-conditioned. They all have a private bathroom with shower, toilet and hairdryer. In the rooms you will find a telephone, hotel safe, flat screen television with in-house movie system and media hub, coffee and tea facilities and a very comfortable bed. After a good night’s rest we invite you to have a Dutch breakfast buffet in our breakfast restaurant to give you a fresh start for the day ahead. Enjoy a drink in our cozy hotel bar after a long day. As BEST WESTERN Dam Square Inn is surrounded by a variety of fascinating cafes, restaurants and eating houses, the hotel has no lunch or dinner facilities. Right next door you will find “Proeflokaal De Drie Fleschjes”, an authentic tasting house for Dutch liqueurs. Check out the BEST WESTERN REWARDS program, the rewards program that really gives back. The rooms are modernly furnished and air-conditioned. All rooms have a private bathroom with a shower, toilet and hairdryer. In the rooms you will find a telephone, hotel safe, flat screen television with in-house movie system and media hub, coffee and tea facilities and a very comfortable bed. 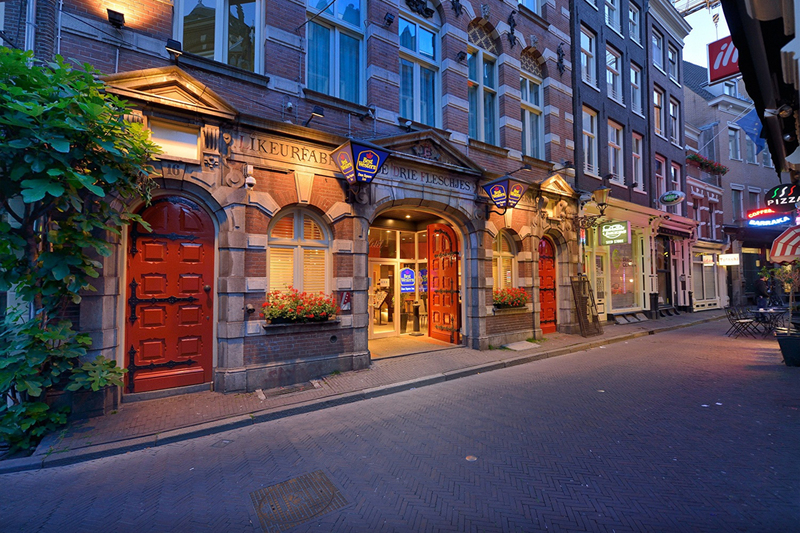 BEST WESTERN Dam Square Inn is situated on a peaceful cobbled street in the heart of historic Amsterdam next to the Royal Palace and the New Church. You are also within walking distance of the floating flower market, Anne Frank House, Madam Toussauds, Rijksmuseum and the Van Gogh Museum. And the hotel is in the middle of Amsterdams largest shopping street (Nieuwedijk, Kalverstraat).